Tonight within the beautiful surroundings of the Raphael Gallery at the V&A, London College of Fashion MA womenswear and menswear graduates will be showing their collections to members of the press and buyers. This year the Collection of the Year award will be presented by young British designer Christopher Raeburn, recent winner of the British Fashion Council’s award for best ‘Emerging Talent - Menswear.’ and known for his innovative and directional ethically-aware collections. Christopher is currently being supported by London College of Fashion’s pioneering business incubator the Centre for Fashion Enterprise. 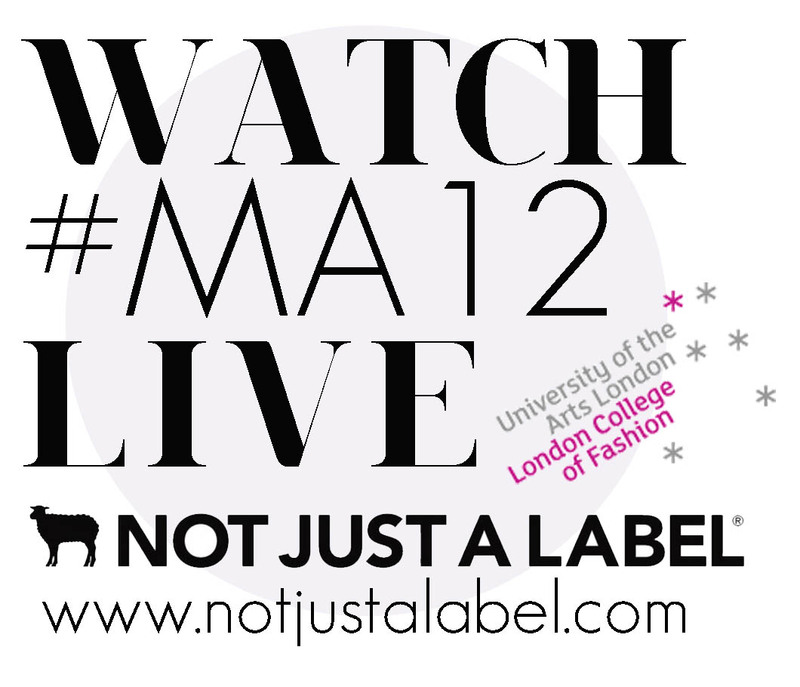 New for 2012 - London College of Fashion has partnered with online platform NOT JUST A LABEL to stream the catwalk show LIVE from the V&A enabling thousands from across the world to view the show online as it happens. To watch this year's Poemtry: Catwalk Show, log onto NOT JUST A LABEL and join the countdown here.